Chemical Constituents and Components : Main chemical components are tinocordifolin, tinocordifolioside, tinosponone, tinocordioside, cordioside, picroretine, colombine, and columbin. Glycosides: 1. It stimulates the function of macrophage and neutrophilla to produce leucocytosis. 2. It inhibits lipid peroxidation and free radical formation. 3. It decreases the capillary permeability and reduces number of disrupted mast cells. 4. It exhibited insulin like action and significantly reduces the blood sugar level. 5. It possesses antineoplastic activity and show cytotoxic effect on tumor cells by reducing GSH (glutathione) concentration. Bitters: 1. It reduced oxidative stress and lowers blood sugar level in body. 2. It enhanced lipid peroxidation in the liver and blood of tumor-bearing models and accompanied by significant decreases in the activities of GSH-dependent antioxidant. 3. It lowers the lipid levels especially cholesterol and LDL-cholesterol in body. Curing Diseases : 1. It is used in burning sensation, hyperdipsia, intermittent and chronic fevers. 4. 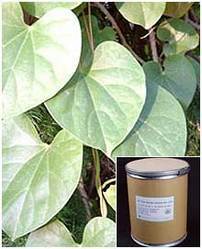 It is used in leprosy, diabetes, cardiac debility, jaundice and general weakness. 5. It is also used in anaemia, uropathy and splenopathy.